CLICK HERE TO LEARN MORE + REGISTER TODAY! As a leader in prevention and treatment for 50 years, IBH President Robert L. DuPont, MD participates in international, national and local events to extend the organization’s work. IBH also hosts a range of events to support its mission. The John P. McGovern Lecture Series recognizes innovations in drug abuse prevention by identifying and supporting ideas, technologies and methodologies that can be adopted in countries throughout the world. Recipients of the John P. McGovern Award are selected on the basis of their impact on drug abuse policy. 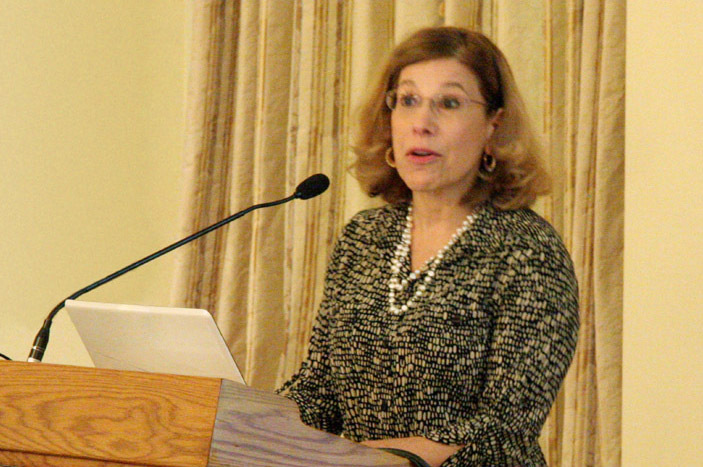 IBH hosted its first John P. McGovern Symposium in 2013. These symposia focus on specific policy issues related to the IBH mission. At each symposium, IBH convenes a working group of experts to participate in a full day of discussion, after which IBH develops a report of findings. The McGovern lectures series, awards and symposia are sponsored by the Institute for Behavior and Health, Inc. with generous support from the John P. McGovern Foundation. As a prison psychiatrist in the late 1960s, Dr. Robert DuPont came to understand that the rising crime at the time was directly linked to the heroin epidemic that raged in cities across America. In this conversation with the Justice Speakers’ Institute, Dr. DuPont discusses the journey from his realization to the present day national movement to end addiction. He discusses the science behind addiction and the important next steps humanity needs to take to finally end the drug epidemic. Central to this strategy is preventing young people from ever starting to use drugs. IBH President Robert L. DuPont, MD presented his book Chemical Slavery at an event hosted by The Heritage Foundation in Washington, DC. For more visit the IBH website www.StopDruggedDriving.org. Addiction treatment pioneer, Dr. Robert DuPont joins Dr. Drew to talk about past and current treatment strategies. Dr. DuPont shares his perspective on a wide variety of topics, including his use of methadone to treat addicted prisoners at the beginning of his career, and his deep appreciation of 12-step programs. IBH President Robert L. DuPont, MD participated in the historic 6th annual World Forum Against Drugs held in Gothenburg, Sweden. Organized by the World Federation Against Drugs, a multilateral community of non-governmental organisations (NGOs) and individuals, the World Forum brings together leaders from around the world to share ideas and experiences about their work to reduce illicit drug supply and use, based on a balanced and restrictive policy. Dr. DuPont proudly serves on the WFAD Board representing North America. At the World Forum he presented closing plenary remarks. IBH President Robert DuPont, MD who also served as the second White House Drug Czar, participated in a Nixon Legacy Forum hosted at the National Archives in Washington, DC. This panel discussion focuses on the role of President Richard Nixon in developing a response to the growing drug abuse problem in the late 1960s and early 1970s, through the creation of America's first Drug Czar; enhanced law enforcement; and centralized programs for drug abuse education, treatment, rehabilitation, research, and training. The Nixon Legacy Forum was aired on C-SPAN 3. Read more. February 27, 2018: Drugged Driving: What is the Problem? What are the Solutions? IBH co-hosted a meeting with the Heritage Foundation and Smart Approaches to Marijuana entitled, Drugged Driving: What are the Problems? What are the Solutions? The event brought together national experts to discuss the science of drug-impaired driving, the current data gaps and complex policy issues on this serious public safety threat. Moderated by Paul Larkin, Jr. of the Heritage Foundation, presenters included Marilyn Huestis, former Chief of Chemistry and Drug Metabolism Section at the National Institute on Drug Abuse (NIDA); Heidi King, Deputy Director, and Jeff Michael of the National Highway Traffic Safety Administration (NHTSA); Terry Zobeck of the Office of National Drug Control Policy (ONDCP); Jake Nelson of the American Automobile Association (AAA); Candace Lightner, founder of We Save Lives (WSL) and Mothers Against Drunk Driving (MADD); Kevin Sabet of Smart Approaches to Marijuana (SAM) and Dana Stevens of SAM's High Means DUI campaign. Read the Full Agenda. IBH President Robert L. DuPont provided closing remarks, calling for immediate action on drug-impaired driving. For more information about drugged driving, visit www.StopDruggedDriving.org. The Institute for Behavior and Health convened a small distinguished and committed group of experts to strategize the nation’s response to the substance use epidemic. IBH President Robert L. DuPont, MD and A. Thomas McLellan, PhD, a national leader on treatment, co-chaired an informative roundtable discussion which addressed the roles of health insurance and health care as well as the powerful potential role for families confronting addiction. Following his keynote address, the US Surgeon General, Vice Admiral Vivek H. Murthy, MD led an interactive dialogue with participants. Dr. DuPont presented Dr. Murthy with the John P. McGovern Award for his national leadership on the serious public health problem of addiction with the historic release of Facing Addiction in America: The Surgeon General's Report on Alcohol, Drugs and Health. In May 2017 IBH issued a brief report by Drs. DuPont and McLellan summarizing the core elements of the meeting discussion and recommendations entitled, A New Agenda to Turn Back the Drug Epidemic. IBH President Robert L DuPont, MD spoke to families and community members at the Community Anti-Drug Coalition of America's (CADCA) National Leadership form. Dr. DuPont spoke at the opening plenary session about the important connection between tobacco, alcohol, marijuana and other drug use in adolescence and the risk of future drug use and addiction. Dr. DuPont highlighted the IBH prevention goal of no use of any drugs by youth for reasons of health. See his opening speech here. IBH President Robert L. DuPont, MD participated in a global workshop on narcotics hosted by the Pontifical Academy of Sciences (PAS) led and inspired by Pope Francis and Queen Silvia of Sweden. Dr. DuPont was joined by other world leaders in drug policy and research. His prepared remarks can be found here. In his address, Pope Francis called addiction "a new form of slavery" while urging those gathered to engage in both prevention and rehabilitation efforts. Read more. IBH President Robert L. DuPont, MD at the Vatican workshop, Narcotics: Problems and Solutions of this Global Issue. IBH hosted a roundtable discussion for criminal justice leaders and policy makers on the HOPE Probation strategy in Washington, DC led by IBH President Robert L. DuPont, MD and Judge Steven S. Alm. Judge Wendy Davis of Fort Wayne, Indiana and Judge David Tapp of Somerset, Kentucky discussed their experiences of successfully implementing a HOPE strategy in their respective jurisdictions. The meeting in Washington, DC marked the release of the IBH report, State of the Art of HOPE Probation, funded by the Laura and John Arnold Foundation. With the passage in several states of ballot and state legislative initiatives to legalize the production, sale and use of marijuana, there is a pressing need for a formal repository of information related to the public health, safety and other consequences, both of marijuana use and of marijuana legalization, as well as changes in public attitude about marijuana use and policies. At this meeting, IBH convened leaders from the federal government and the states of Colorado and Washington with leaders in public policy and research to discuss opportunities and barriers for identification and the annual public reporting of the national consequences of marijuana use and marijuana legalization. Following, in January 2016 IBH released a report, A Strategy to Assess the Consequences of Marijuana Legalization, that urges a Congressional mandate to designate and appropriate the necessary funds for the management and coordination of this work using data and research from new and currently existing federal sources. In addition to a federally mandated reporting system, the Strategy strongly recommends the creation of state-based reporting systems and urges private organizations and foundations to become involved. At this symposium, IBH brought together thought leaders from public and private drug-free workplace programs, and specialists in government, public policy, employment law, laboratory drug testing, and addiction treatment, among others to discuss the challenges of workplace drug testing in the context of marijuana legalization. These individuals and others who could not attend the symposium became the IBH Workplace Drug Testing Working Group. A resulting IBH paper, Workplace Drug Testing in the Era of Legal Marijuana, provides guidance for employers about drug testing employees and job applicants for marijuana use in the workplace in the context of the current legal environment. It also discusses improvements in the science and technology of drug testing not only for marijuana, but also for other drugs of abuse. The recommendations made in the report to update workplace drug testing respond to the rapidly changing drug abuse environment in the workplace. At an IBH meeting Robert L. DuPont, MD presented the John P. McGovern Award to Kevin A. Sabet, PhD. As co-founder with Former Congressman Patrick J. Kennedy of Project SAM (Smart Approaches to Marijuana), Dr. Sabet has shown extraordinary leadership in pushing back against state-based legalization of medical and recreational marijuana. He is Director of the Drug Policy Institute at the University of Florida and an Assistant Professor in the College of Medicine, Department of Psychiatry. He is also a policy consultant to numerous domestic and international organizations through his company, the Policy Solutions Lab. His current clients include the United Nations, where he holds a senior advisor position at the Italy-based United Nations Interregional Crime and Justice Research Institute, and other governmental and non-governmental organizations. From 2009-2011, Dr. Sabet served in the Obama Administration as the Senior Advisor to White House Office of National Drug Control Policy (ONDCP), Director R. Gil Kerlikowske. Dr. Sabet previously worked on research, policy and speech writing at ONDCP in 2000, and again in 2003-2004 for the Clinton and Bush Administrations. IBH President Robert L. DuPont, MD participated in a panel discussion on substance abuse and crime at the Heritage Foundation. Panelists talked about innovative ways to address substance and alcohol abuse other than jail or prison. Representatives of South Dakota's 24/7 Sobriety program and Hawaii’s Opportunity Probation with Enforcement (HOPE) program discussed the reasons for the success of their innovative monitoring strategies. Watch on C-SPAN. At this John P. McGovern Symposium, IBH convened thought leaders to discuss current outcome measures of treatment for substance use disorders and to recommend ways these measures could be improved. The symposium established a framework with a long - range perspective for the evaluation of addiction treatment. This framework recognized that addiction was a commonly chronic relapsing disorder and that follow - up monitoring and support after treatment was almost always absent, making relapse the expected outcome of addiction treatment. The new outcome evaluation framework aimed to make recovery the expected outcome of addiction treatment. Assessment of the success of addiction treatment would not be measured only, or even primarily, by what happens during treatment, as is common today, but rather by what would happen after treatment. Read the resulting report. At this John P. McGovern Symposium, IBH hosted a meeting of thought leaders that had expertise in addiction treatment, research, public policy, and drug and alcohol testing technology. The group established a community of interest, the Recovery Management Working Group, to promote the New Paradigm for Recovery, a new strategy of care management to dramatically reduce relapse and to foster lifetime recovery. Following the meeting additional interested experts were recruited to join with the original members to create a comprehensive report. Their goal is to help people suffering from substance use disorders achieve lasting recovery. IBH Report. IBH presented the John P. McGovern Award to R. Gil Kerlikowske, Director of the White House Office of National Drug Control Policy (ONDCP), for his distinguished leadership in drugged driving prevention and enforcement including recognizing drugged driving as a featured national priority in the 2010 National Drug Control Strategy. The meeting was a celebration of Director Kerlikowske's leadership and an expression of gratitude and respect from the impressive audience of 60 national leaders in highway safety and substance abuse prevention, treatment and research. 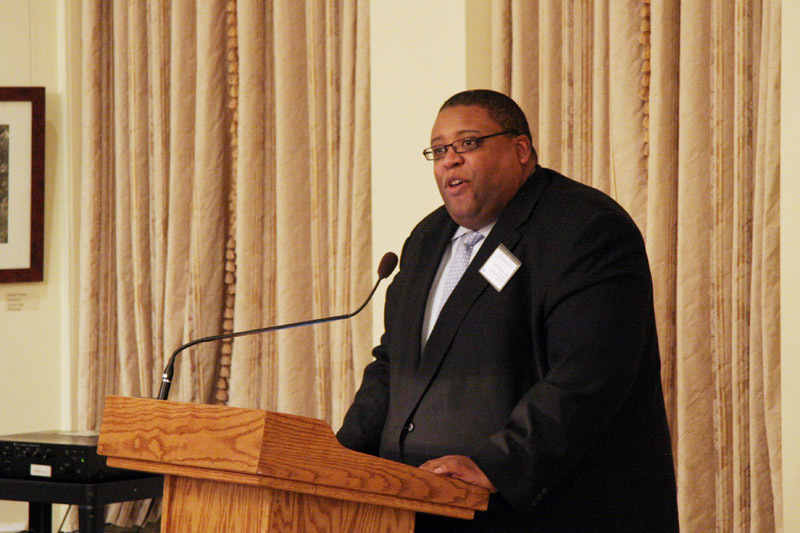 The keynote address was given by David L. Strickland, Administrator of the National Highway Traffic Safety Administration (NHTSA). Megan Harrington, representing Senator Rob Portman (R - OH), expressed support for these efforts. While a member of the US House of Representatives, then - Congressman Portman sponsored drugged driving legislation that was incorporated into the 2005 Safe, Accountable, Flexible, Efficient, Transportation Equity Act - a Legacy for Users (SAFETEA - LU) which brought attention to the drugged driving problem for the first time in legislation. 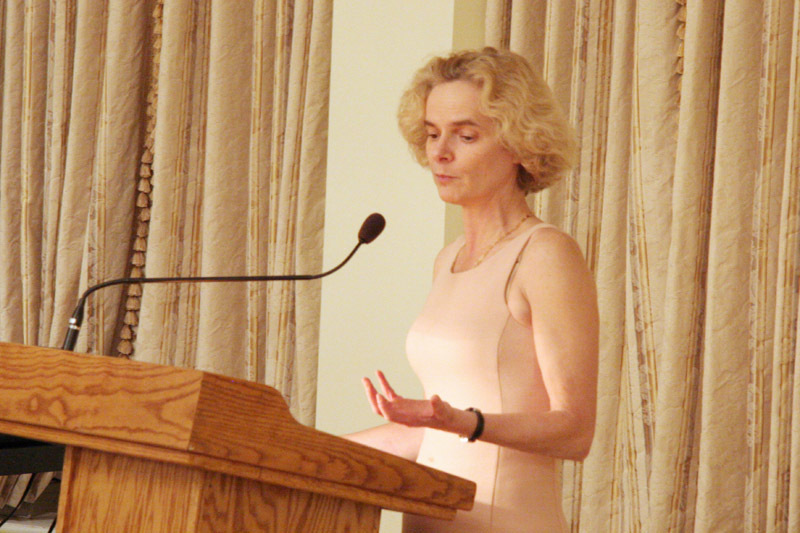 Nora Volkow, MD, Director of the National Institute on Drug Abuse (NIDA), highlighted the role of research in efforts to understand and curtail drugged driving and expressed NIDA's commitment to support the 2010 National Strategy's ambitious target of reducing drugged driving in the US by 10% by 2015. IBH President Robert L. DuPont, MD asked meeting participants to contribute their suggestions for the future direction of US efforts to reduce this significant threat to highway safety. This John P. McGovern Lecture focused on the importance of the Recovery Movement as a response to drug addiction in the United States. The John P. McGovern Award was presented by IBH President Robert L. DuPont, MD to William L. White, MA, Senior Research Consultant, Chestnut Health Systems, for his contributions to the field of addiction treatment and his distinguished career promoting lifetime recovery. 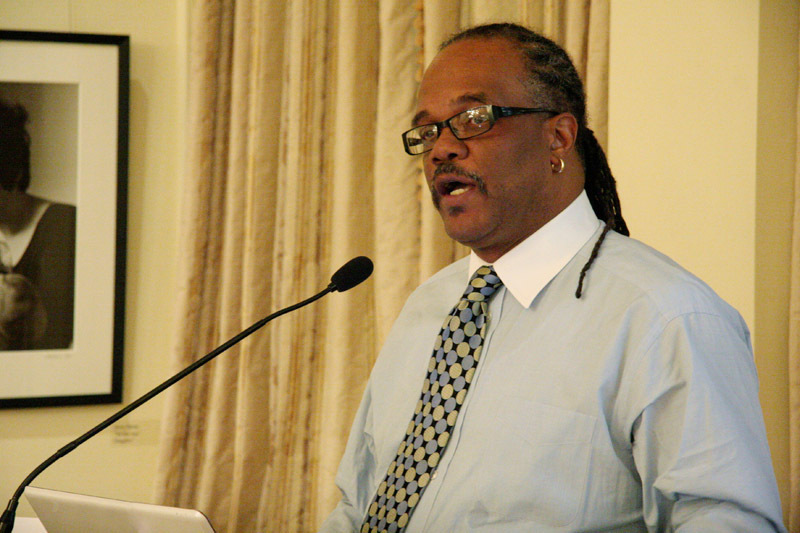 Mr. White presented the long history of the recovery movement in the United States and discussed future directions. A. Thomas McLellan, PhD, Founder of Treatment Research Institute and Former Deputy Director of the Office of National Drug Control Policy, discussed how we can define recovery and its importance. 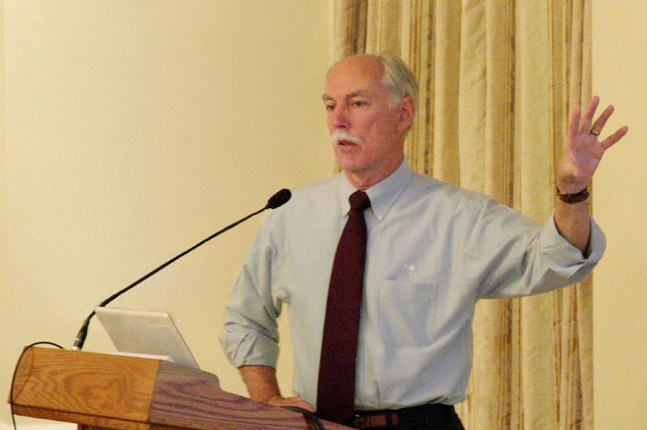 Wilson Compton, MD, MPE, Director, Division of Epidemiology, Services and Prevention Research at the National Institute on Drug Abuse, presented the future of recovery research and the role of the National Institute on Drug Abuse (NIDA). 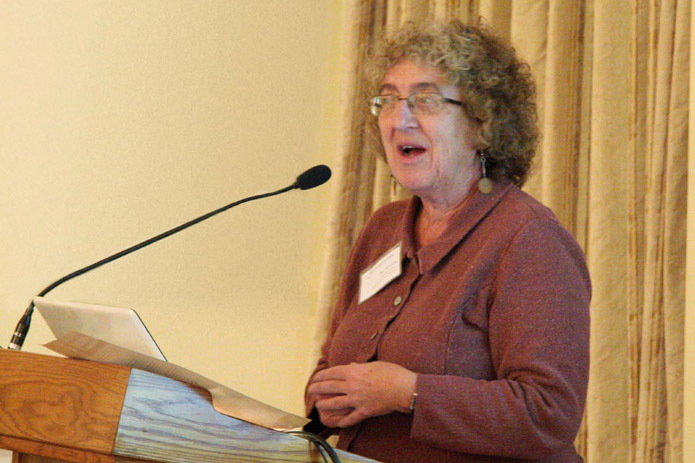 Andrea Kopstein, PhD, MPH, Director, Office of Program Analysis & Coordination, Center for Substance Abuse Treatment, discussed the Substance Abuse and Mental Health Services Administration's Annual Recovery Month which takes place each October. Lessons from successful recovery support programs were discussed by Paul Molloy, Chief Executive Officer of Oxford House; Leonard A. Jason, PhD, DePaul University, Center for Community Research, Pat Taylor, Executive Director, Faces and Voices of Recovery; and Carlos Hardy, MHS, Director of Public Affairs, Baltimore Substance Abuse Systems. IBH President Robert L. DuPont, MD presented the John P. McGovern Award to Per Johansson for his outstanding global leadership in drug policy. Per Johansson has been active in the Swedish National Association for a Drug Free Society (Riksförbundet Narkotikafritt Samhälle; RNS) for three decades and is Secretary General. He has tracked the development of Swedish drug policy as it shifted from permissive to restrictive in nature. In recent years, he has been involved in RNS foreign projects in the former Soviet Union and South America. In 2009, he co - founded the World Federation Against Drugs (WFAD). WFAD is a multilateral community of non-governmental organizations and individuals. Its aim is to work for a drug-free world. Per Johansson's remarks. At this award lecture, R. Gil Kerlikowske, Director, White House Office of National Drug Control Policy discussed the path forward in international drug policy, including the role of the US 2010 National Drug Control Strategy. Finally, Nora D. Volkow, MD, Director of the National Institute on Drug Abuse, presented the role of research in global drug policy. Dr. Volkow's slide presentation. The event was attended by international leaders in drug abuse prevention, treatment, research and policy from the United States, Sweden, Mexico and Canada. IBH celebrated the 40th anniversary of the founding in Washington, DC of the Narcotics Treatment Administration (NTA). NTA was established on February 18, 1970 to attempt the daring and untested public health strategy of providing addiction treatment on a massive scale to turn around a rapidly escalating heroin epidemic and closely related crime wave in the District of Columbia. In three years, with the help from many people, this goal was achieved. The accomplishments of NTA were documented in over 200 professional articles and countless media reports. And then, NTA, as an organization, was gone. Experts in drug abuse treatment and policymakers of the time joined IBH to share their experiences and recollections of NTA. Among them was Robert L. DuPont, MD, IBH President and former NTA Administrator and Senator Joseph Tydings (D-MD), former Chairman of the Committee on the District of Columbia (pictured at right with then-Mayor Walter Washington in the background). The NTA experience was a major factor in changing this country's drug control strategy, sparking an unprecedented national investment in drug abuse treatment, prevention and research. With this new, balanced strategy, the United States set a new path for confronting what has proven to be a global epidemic of drug abuse. Proposal to End Heroin Addiction and to Reduce Crime in the District of Columbia, 1970. Where Does One Run When He's Already in the Promised Land? Speech delivered by Robert L. DuPont, MD at the Fourth National Conference on Methadone Treatment, 1973. IBH President Robert L. DuPont, MD presented the John P. McGovern Award to Attorney General of South Dakota Larry Long, and Bill Mickelson, President & CEO of the Mickelson Consulting Group LLC, innovators of the 24/7 Sobriety Project. Attorney General Long conceptualized the program committed to working with chronic Driving While Intoxicated (DWI) offenders into changing their behavior and prevention of additional DWI arrests. First implemented in Bennett, County, South Dakota, the primary objective of the program for each DWI defendant is sobriety 24 hours per day, 7 days per week. Active drug testing in conjunction with immediate, known, short-term consequences for any detected use of alcohol or drugs has produced positive alcohol - and drug - free behaviors among DWI offenders. Bill Mickelson, former Special Agent for the Division of Criminal Investigation for South Dakota, helped facilitate the development of the 24/7 Sobriety Project which has expanded across South Dakota. New Technologies.R. Gil Kerlikowske, Director of the Office of National Drug Control Policy, was the evening's featured guest speaker. He discussed national drug control policies and how programs like the 24/7 Sobriety Project can impact DWI across the US. Researcher Robert Voas, PhD of the Pacific Institute for Research and Evaluation (PIRE) explored how DWI offenders are managed in the US while Jane Maxwell, PhD of the Addiction Research Institute at the University of Texas at Austin discussed the current state of DWI research. IBH President Robert L. DuPont, MD presented the John P. McGovern Award to the Honorable Steven S. Alm, First Circuit Judge of the State of Hawaii's Criminal Division, for his leadership to develop and implement HOPE Probation, an innovative criminal justice program. Hawaii's Opportunity Probation with Enforcement (HOPE) establishes clear expectations of drug - free behavior reinforced by active drug testing. Positive tests result in swift, certain, but not draconian, consequences. HOPE reduces drug use while also lowering re - arrest and revocation rates. HOPE conserves limited resources of treatment and supervision for those who need them. HOPE holds the promise of significantly reducing both the demand for illegal drugs and associated criminal activity and prison populations across the US. This McGovern award lecture brought together leaders including Angela Hawken, PhD of Pepperdine University School of Public Policy who reported the positive findings from her evaluation of HOPE, funded by the US Department of Justice and the Smith Richardson Foundation. Douglas Marlowe, JD PhD, of the National Association of Drug Court Professionals (NADCP) discussed the relevance of HOPE for integration with Drug Courts. Al From, Founder and CEO of the Democratic Leadership Council and long-time leader and policy expert in the nation's capital, outlined his expectations and the political process for adoption of the HOPE model at the national level. This event was attended by federal, District of Columbia and state judges, criminal justice policy experts and administrators, and federal and state agency directors. The John P. McGovern Award was presented to A. Thomas McLellan, PhD, Founder and Chief Executive Officer of the Treatment Research Institute. Dr. McLellan was the principal developer of the Addiction Severity Index (ASI) and the Treatment Services Review (TSR), measurement instruments that characterize the multiple dimensions of substance abusing patients and treatments. These tools have been translated into over 20 languages and are the most widely used instruments of their kind in the world. The ASI and TSR have helped to revolutionize the delivery of treatment and helped researchers and clinicians gain more insight into the efficacy of treatment. Dr. McLellan's work has also promoted better understanding of the factors that lead to treatment success, and has fostered greater understanding of addiction as a chronic illness, reduced its stigma, and provided means for earlier identification and prevention. New Technologies.At this John P. McGovern Lecture, IBH brought together leaders in highway safety, public policy and research toxicology to consider the current state of roadside drug testing technology. Bruce A. Goldberger, PhD, Professor and Director of Toxicology at the University of Florida College of Medicine, reviewed currently available technology, including breath, urine, saliva and sweat tests. He discussed the uses and limitations of these methodologies, and suggested new avenues of research and development that are in the pipeline. Mark S. Gold, MD, Distinguished Professor at the University of Florida College of Medicine Brain Institute followed Dr. Goldberger's presentation with comments regarding brain biology and driving behavior. J. Michael Walsh, PhD, President and founder of The Walsh Group, internationally known for his research in drugged driving, concluded the presentation with both a national and global perspective on roadside testing practices. At this John P. McGovern Lecture, IBH convened national leaders in highway safety to discuss a new legislative agenda for drugged driving. The meeting included a presentation from J. Michael Walsh, PhD, President of The Walsh Group, on programs focused on driving under the influence of drugs (DUID) currently underway in Europe and Australia. An international expert on drug-impaired driving, Dr. Walsh convened the recent International Symposium on Drug - Impaired Driving and discussed highlights from the presented research. Michael McEleney, Legislative Director for Congressman Jon Porter (R-NV), presented pending drug - impaired driving legislation in Congress. Representatives Porter and Rob Portman (R-OH) co-authored federal DUID legislation passed by the House of Representatives in April 2004. Discussing the House legislation and prospects for similar action by the Senate, Mr. McEleney called for greater public awareness and involvement in this issue. IBH hosted a John P. McGovern Lecture on featuring David Brill, MD, MA, MPH, President and CEO, DrugRisk Solutions, Inc., and Thomas Eden, Esq., National Advisor on Student Drug Testing. Dr. Brill discussed the potential policy applications of a new onsite hair drug test developed by DrugRisk Solutions, LLC. This newly available screening technology will strengthen testing options for substance abuse prevention, detection and treatment. Mr. Eden spoke on the optimal integration of this powerful new technology into existing law, policy and industry models. IBH presented the John P. McGovern Award to David Evans, Esq., Executive Director of the Drug Free Schools Coalition and practicing attorney. He is nationally known for his expertise in the area of drug testing law and developing legally defensible and effective anti - drug programs and policies. The John P. McGovern Award was also presented to Lisa Brady, PhD served as Principal and then Superintendent of Hunterdon Central Regional High School in Flemington, New Jersey, and has been involved in student drug testing since 1997. She is an original member of the school's Random Drug Testing Task Force and helped develop one of the first student drug testing policies in the country. The school program has been identified nationally as a model program. Both David Evans and Lisa Brady work as consultants to school districts across the country to help them design and implement student drug testing programs. IBH gathered a diverse group for another in a series of meetings to discuss driving under the influence of drugs. This meeting focusing on the technology currently available for roadside testing for illegal drugs. The goal for the discussion was to find answers to the question: "Is Oral Fluids Testing Ready for Prime Time at the Roadside?" Sam Niedebala, PhD, Executive Vice President, Chief Science Officer and a founder of OraSure Technologies, Inc., updated the group on recent technological developments and testing innovations. 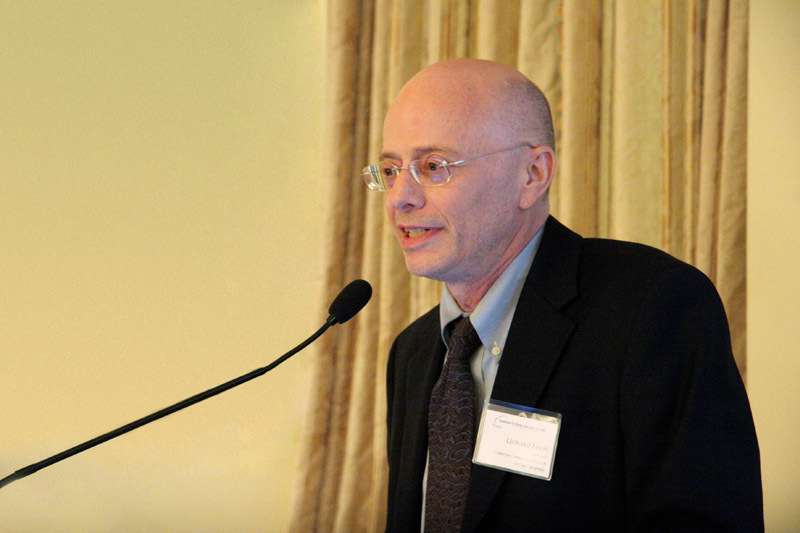 J. Michael Walsh, PhD, President, The Walsh Group, discussed DUID studies in Europe. J. Michael Walsh, PhD, President of The Walsh Group, has been a national and international leader in drug abuse prevention for more than two decades. He was instrumental in the development of the workplace drug prevention efforts begun in the 1980s. For the last two decades Dr. Walsh has focused on highway safety and the relationship of accidents, injury and death to illegal drug use. The result has been a compelling body of research data that show the direct connection between illegal drug use and highway tragedies. He has also been a leader, both on the national and international levels in highway safety policy, particularly in the area of per se legislation. IBH honored John Walters with the John P. McGovern Award for his remarkable leadership in the nation's efforts to curb illegal drug use in a wide range of distinguished roles over more than a decade. As Director of the White House Office of National Drug Control Policy (ONDCP), he embraced President George W. Bush's ambitious goal of reducing the use of illegal drugs by 10% in his first two years and by 25% in five years. Mr. Walters has provided important leadership in reducing workplace drug abuse and in promoting student drug testing in schools as part of a comprehensive school prevention program. Both have been critical elements in the war on illegal drug use.